Canny Campers has been providing a first class service to our customers since 2009. Ran by a Husband and Wife team, one or both of us will be your chauffeur and this way we can ensure you get the quality of service you have paid for. 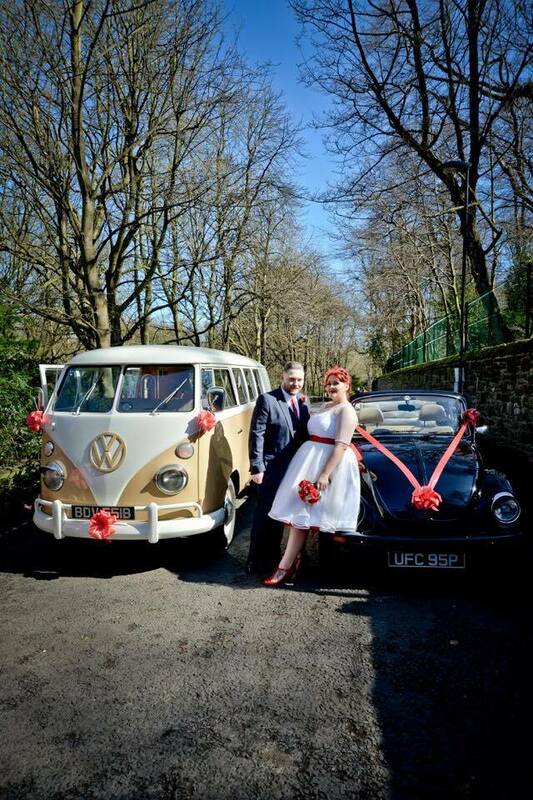 ‘Little Joe’ is a desirable fully restored 1960’s splitscreen campervan and ‘Millie’ a beautiful genuine Karmann convertible beetle. No expense is spared in making sure we maintain quality and improve our vehicles to keep a little bit of history alive. Have your first drink as a married couple on us! – Complimentary Champagne and hand painted flutes are included to add extra sparkle to the celebrations. 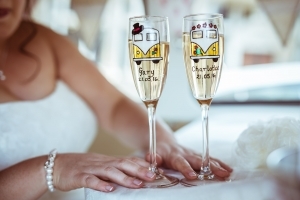 Flutes are personalised with the happy couples names and the date of the wedding. We can also co-ordinated ribbon colours to match your theme. Unlike many other wedding car companies, Canny Campers have always and will continue to only do 1 booking per car per day. 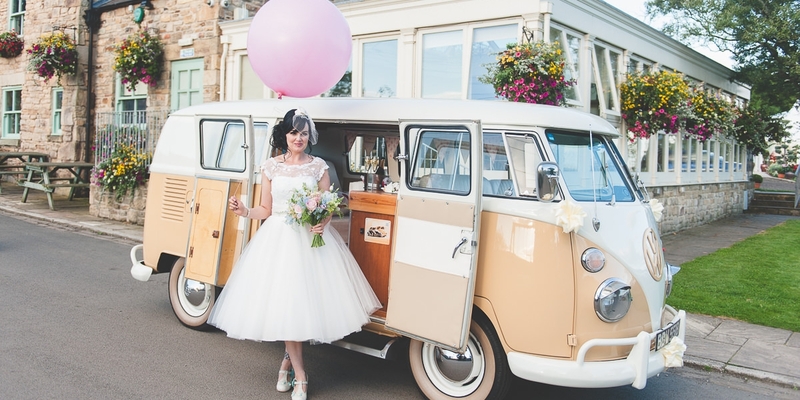 Bookings are usually made well in advance of the big day and if your timings require amending or you encounter problems affecting your original plans we can usually accommodate those changes. We are proud of our service but don’t just take our word for it, check out our testimonials. *Our pricing is for up to 4 hours continuous hire, and we can do a couple of trips if required (additional charge may apply). *Champagne is a complimentary gift and not built into the quote in any way, the price is the same if no Champagne is required. *As we do 1 booking per car per day our pricing is usually as per the costings below, when we are booked, we are booked and the date is blocked on the system for that couple. 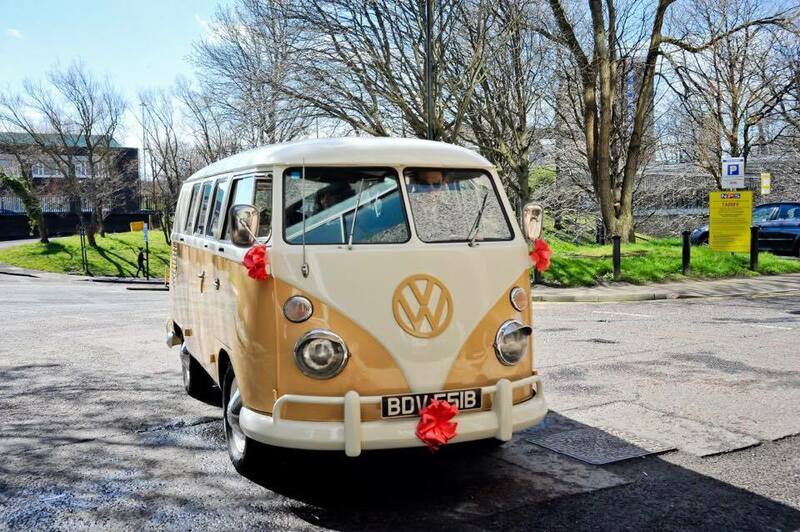 “Little Joe” is a fully restored 1964 VW split screen camper van painted in Beige and Cream which will compliment any colour scheme. 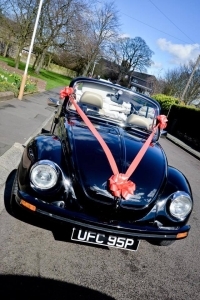 “Millie” is a 1976 VW Karmann Cabriolet Beetle. Painted in Black with a Beige roof and a matching leather interior. "Fantastic service from Paul and Little Joe. Friendly and professional throughout, they helped make our special day even more memorable. 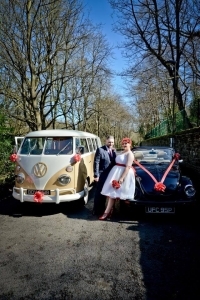 We can not recommend them highly e..."
"We hired the camper van for our wedding in February. Paul provide a first class service and the camper van was fantastic. Thank you Paul"